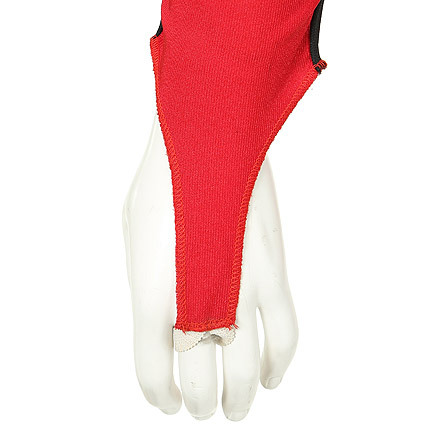 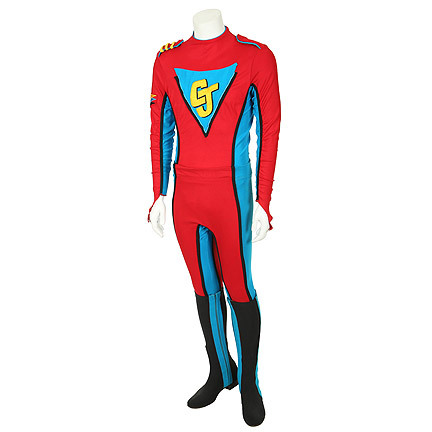 This superhero costume was worn by the character “Captain Justice” portrayed by actor Jeff Lester in “Once A Hero”. 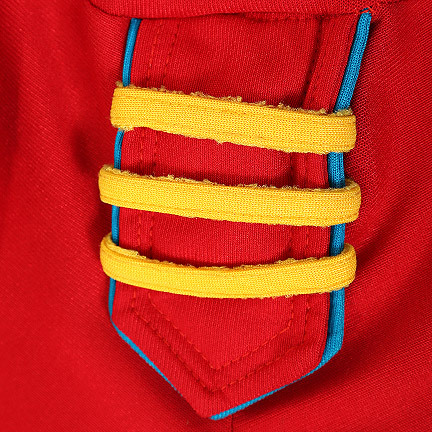 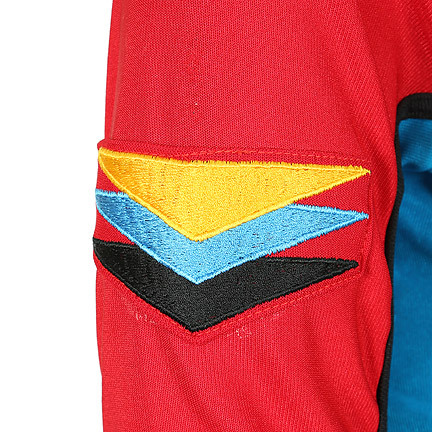 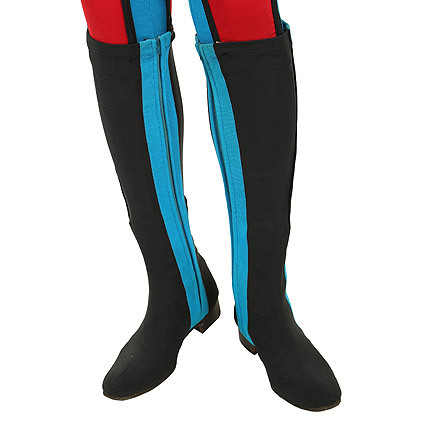 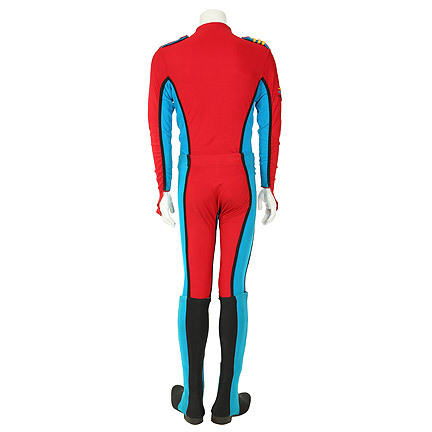 The custom made red polyester spandex blend two piece suit has two epaulets, one with three yellow stripes, yellow, turquois, and black triangle shoulder patches, large turquoise and black triangle on the from with the initials CJ, and matching black boots. 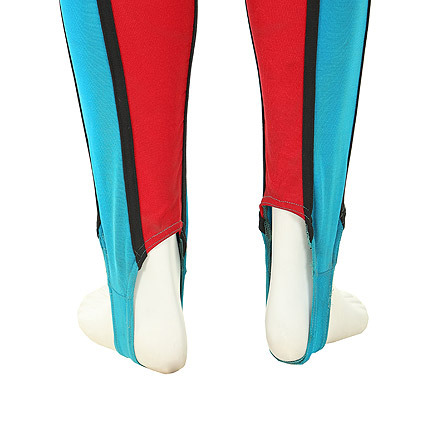 This suit is featured on the official “Once a Hero” VHS cover artwork, as well as in a promo image on the back of the VHS cover. 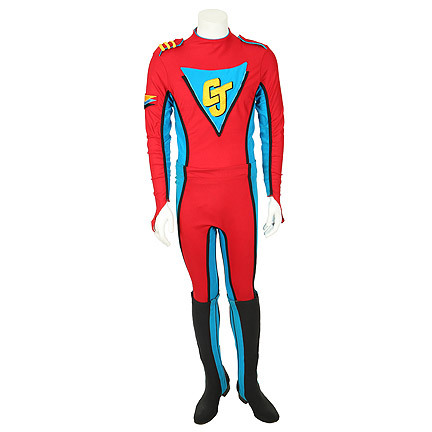 The VHS is included with the sale of the costume. 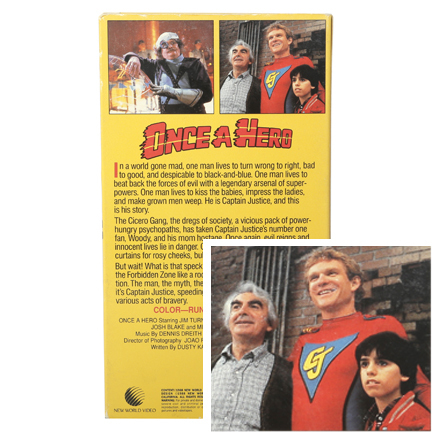 “Once a Hero” was a 1987 ABC science fiction comedy television series that starred Milo O’Shea, Jeff Lester, Caitlin Clarke and Robert Forster. 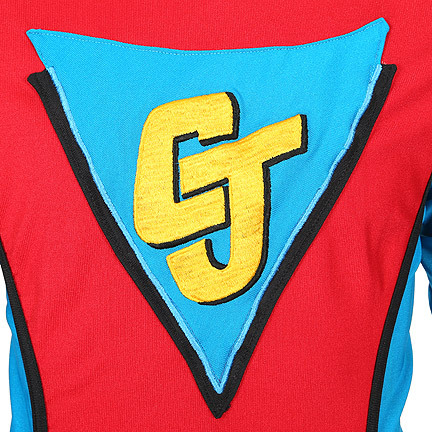 The show now has a cult following and many fans and critics think it was ahead of its time; however, during its original air date only three of the seven episodes made it to air in the United States. 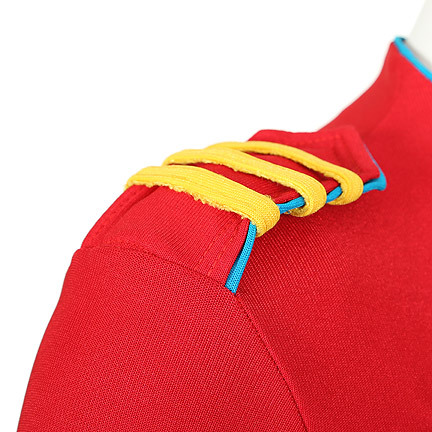 The items are in excellent screen used condition and is accompanied by a letter of authenticity from the costume house.